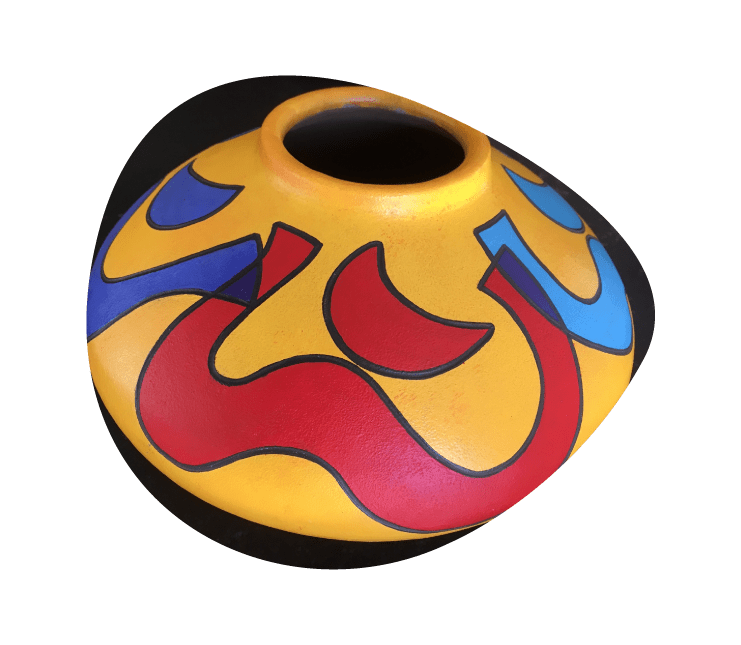 Boulder’s original sister city, Friendship City Projects, presents the inspirational, healing, and transcendent art of two Nicaraguan artists: Marlon Moreno and José Ortiz Bracamonte. 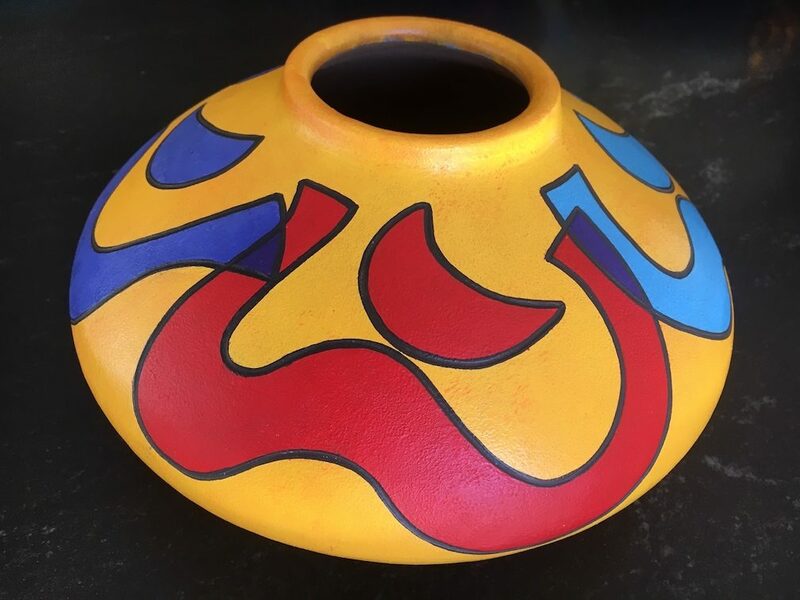 All art displayed will be for sale and proceeds will go directly to the art school and art coop, to support Nicaraguan artists, art education and positive community development. 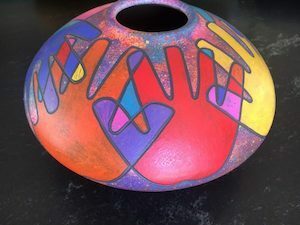 Nicaraguan Artist visits and workshops are supported by a Boulder Arts Commission art education grant. Presenting Boulder’s history to connect visitors to the past, provide a context for the present, and inspire a vision for the future. 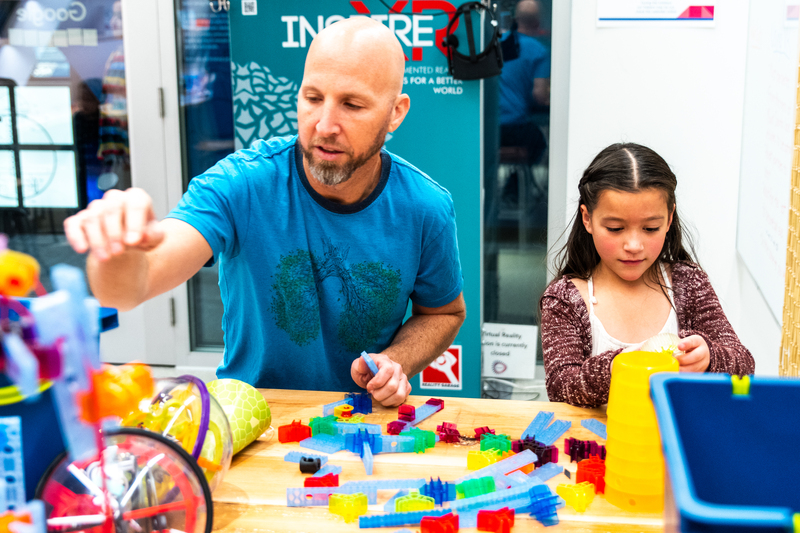 The Boulder Experience exhibition is a space for people to engage with the breadth of the innovation that was developed in Boulder and its impact on the world. 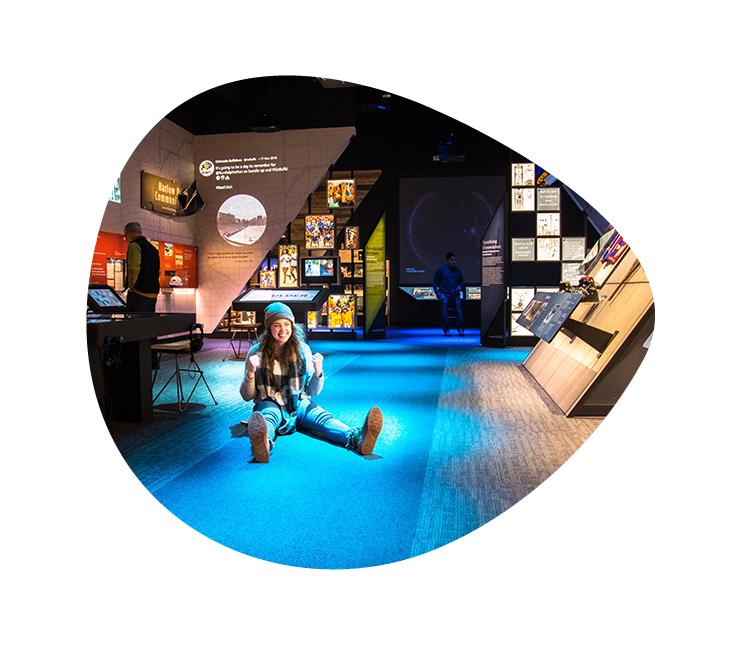 Visitors are guided through displays, interactives and multimedia experiences that cover the history of Boulder from the earliest days of Native American inhabitants, through key times of cultural, scientific and economic change, continuing to the present day. There are stories ranging from the travels of the Arapaho to the building of the Kepler telescope by Ball Aerospace. 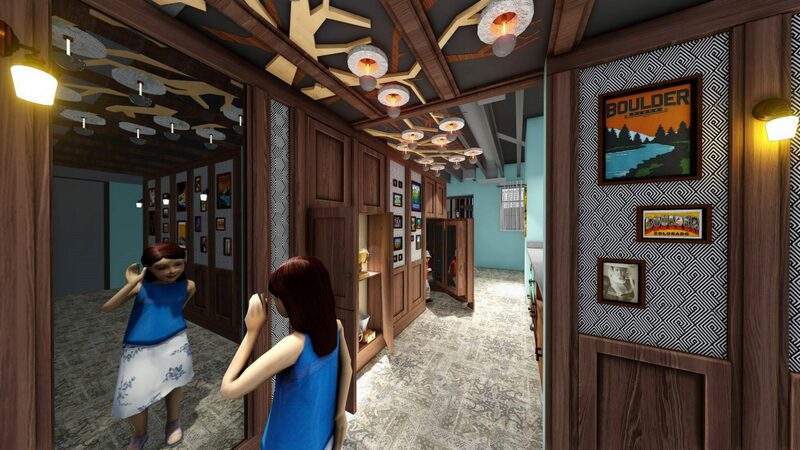 Entry to the exhibition will be free with Museum admission. A creative space for messing about! 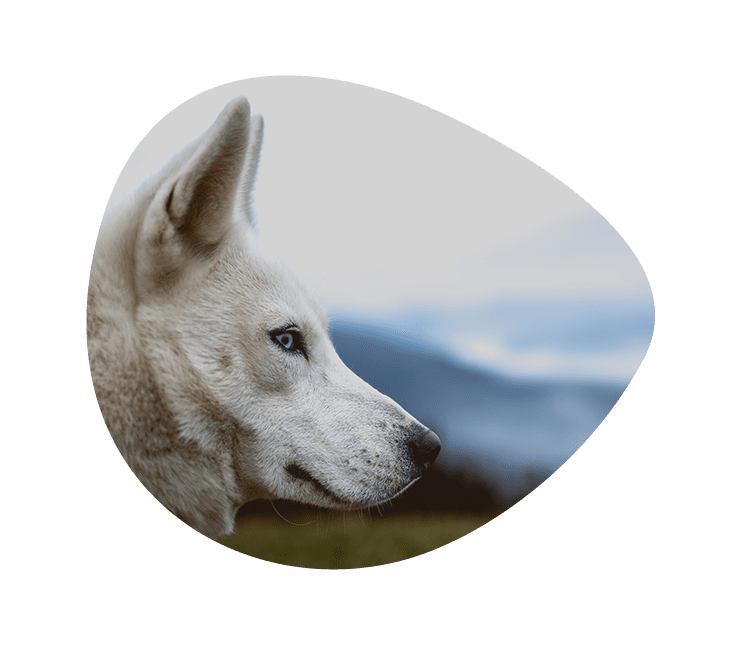 The Google Garage is based on the idea that children learn best when they get to explore, create, experiment, and follow their natural curiosities – just messing about. 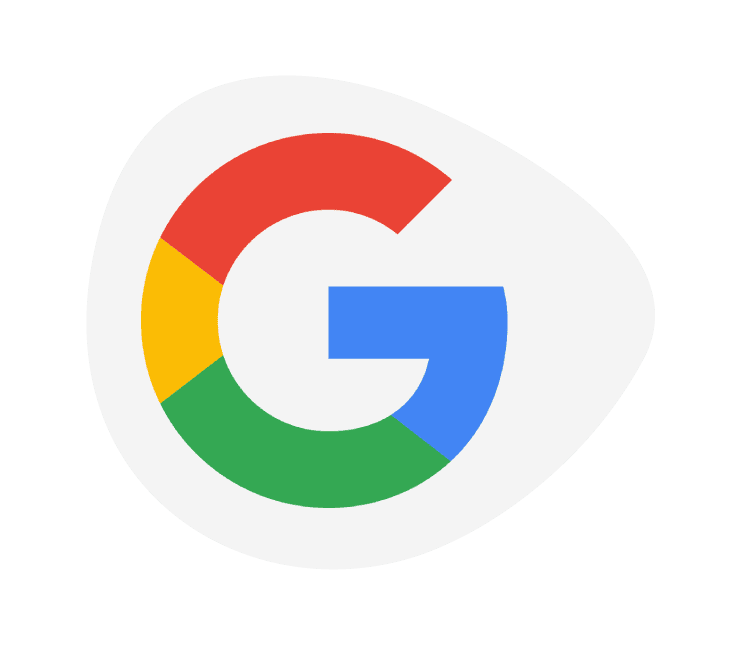 Come explore, create, and follow your curiosities here in our Google Garage. Best for ages 8+. Entry to the Google Garage is free with Museum admission. 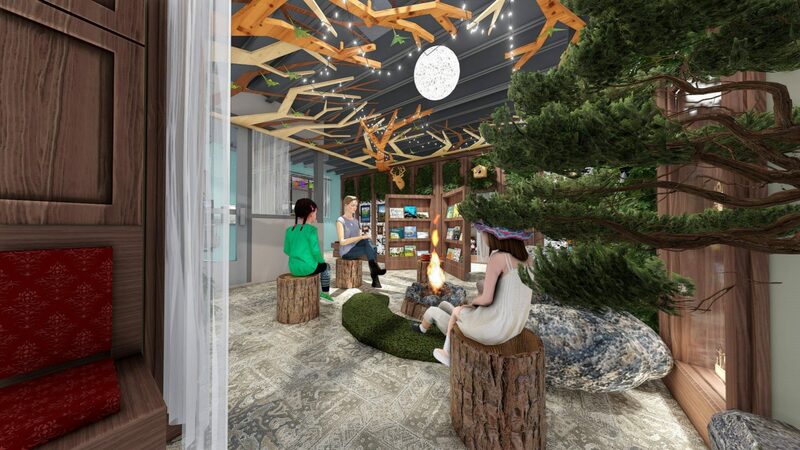 Donations are currently being accepted in memory of Kingsley D. Stoken (September 14, 1969 – April 4, 2019) who was passionate about opening a Children’s Museum space in Boulder. Kinglsey (and his wife Anne) were our Capital Campaign Chairs in 2018. His loss is a tremendous loss to our Boulder community. Ready, set, play – YES, you can touch that at the Museum of Boulder’s interactive children’s museum. Play is essential to a child’s healthy development and the foundation for all future learning. Boulder’s belief in a healthy work-life balance is a big draw for young families, and as a result, it’s a very kid-friendly town. 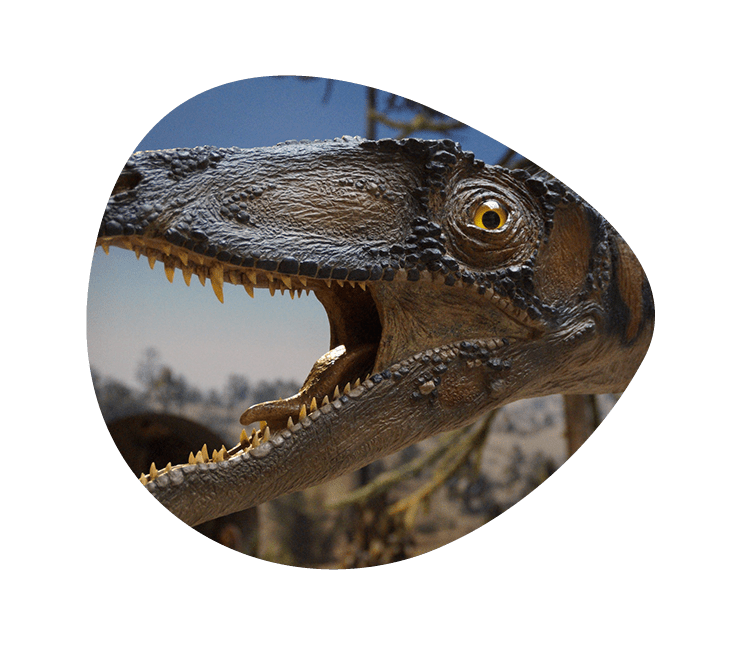 However, something is missing and has been for a long time – a children’s museum in Boulder that is sure to top the list of most memorable experiences. 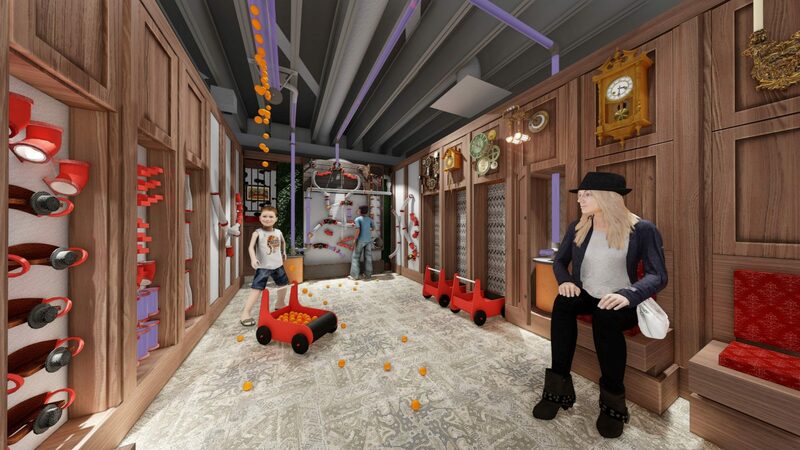 The Museum of Boulder’s new Children’s Discovery Zone Museum will be a place that gives children the power of discovery and imagination. 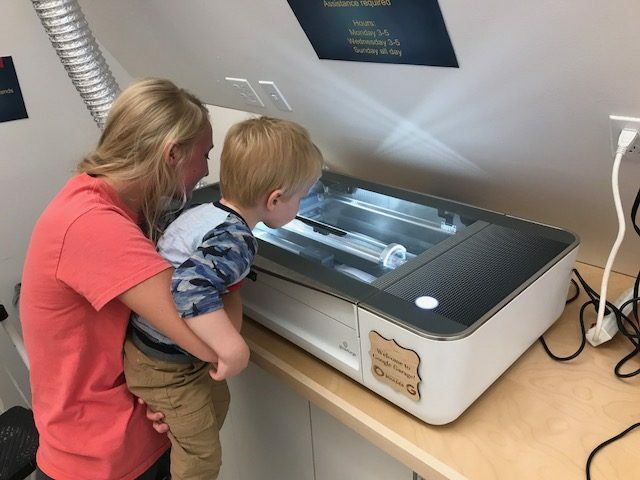 From the moment kids enter through its doors (on the Garden Level of the Museum of Boulder), the amount of creativity and fun details will leave adults impressed and little adventurers giddy. 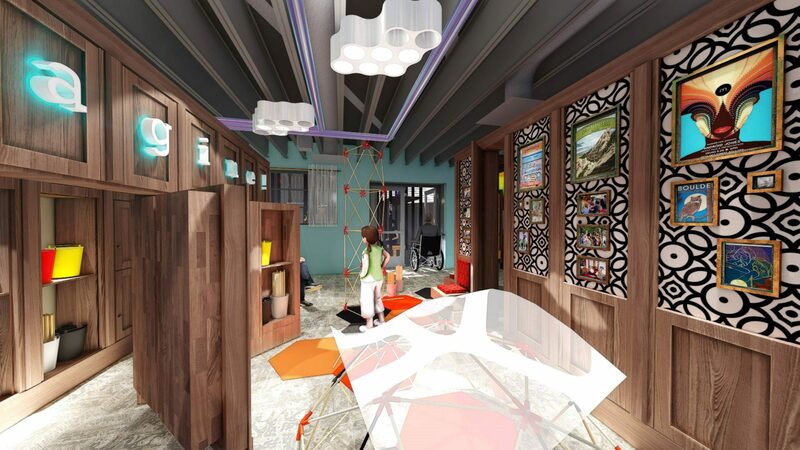 The 2,500 square-foot space is designed for ages birth-8, and without a doubt, the design team at the Denver Children’s Museum working with our Task Force of staff and volunteers, has developed an innovative concept that is sure to make children happy while learning through play. Think “The Lion, the Witch, and the Wardrobe” meets “Where the Wild Things Are”. 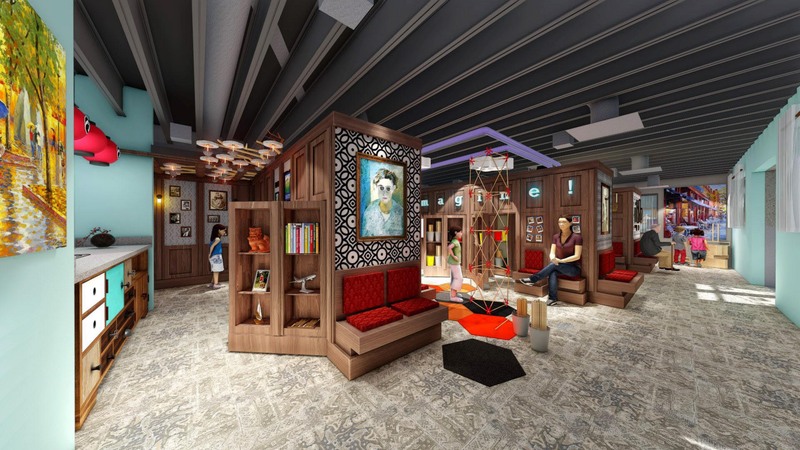 With mellow lighting and a bevy of activity, parents can follow along while kids explore the tunnels, stairs, secret passageways and nooks. 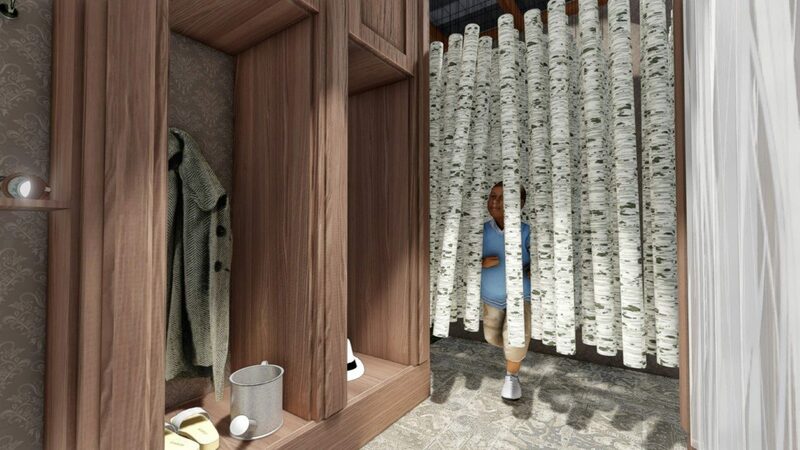 Magical portals with interactive experiences give youngest learners new perspective, engaging senses and sparking imagination. 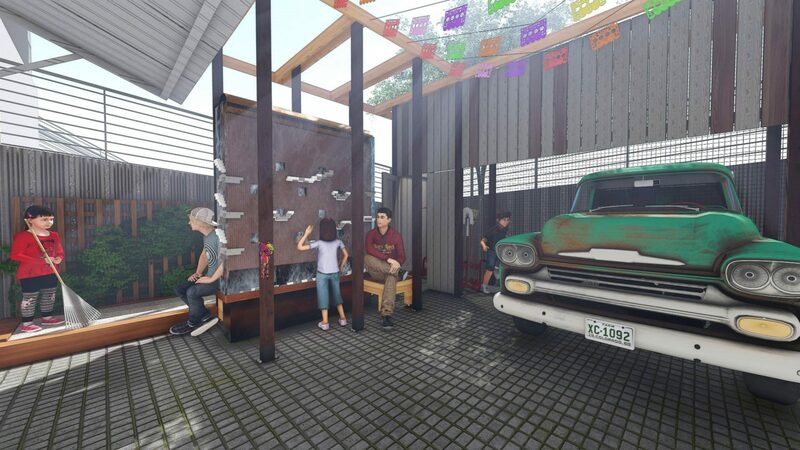 The outdoor area will feature the only Luckey Climbing structure in Colorado. Luckey Climbers are sculptures that define public spaces and create emblematic play areas. They offer adventures to kids of all ages while challenging them to problem-solve, think spatially, and most of all, be with kids other kids. Made of bent plywood or rotationally molded plastic climbing platforms suspended by steel pipes and cables, Luckey Climbers are visually elegant works of art, part jungle gym, and once alive, they become fountains of children. 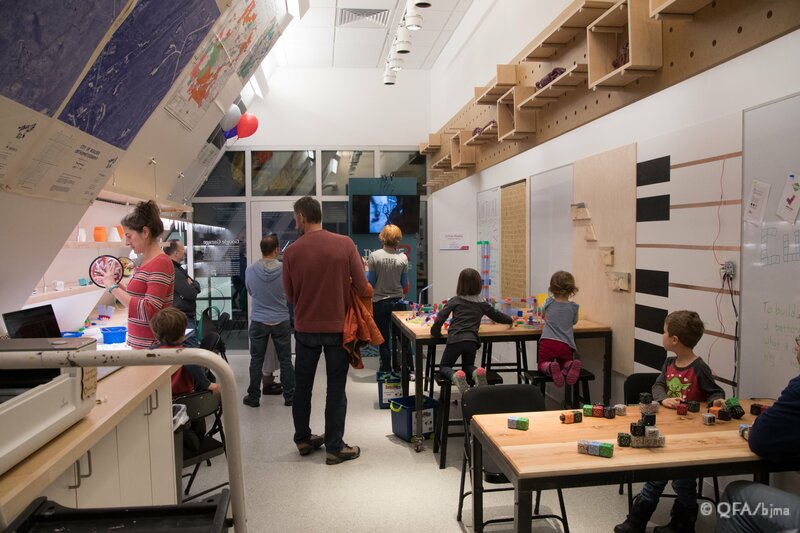 The Museum of Boulder’s Children’s Discovery Zone Museum is seeking community funding for the final phase of the project – fabrication and installation – so that this space can open to our youngest community members in early 2020. The fabrication and installation costs are $2,000,000 which the Museum must raise to make this dream come true for our community. 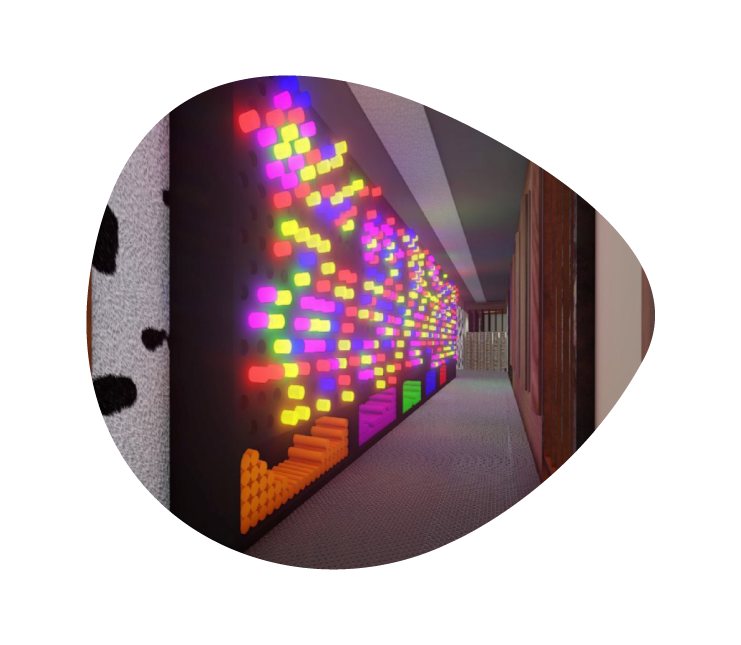 Did you know that mazes and puzzles challenge you to use logic, math and problem-solving skills, all while having FUN?! 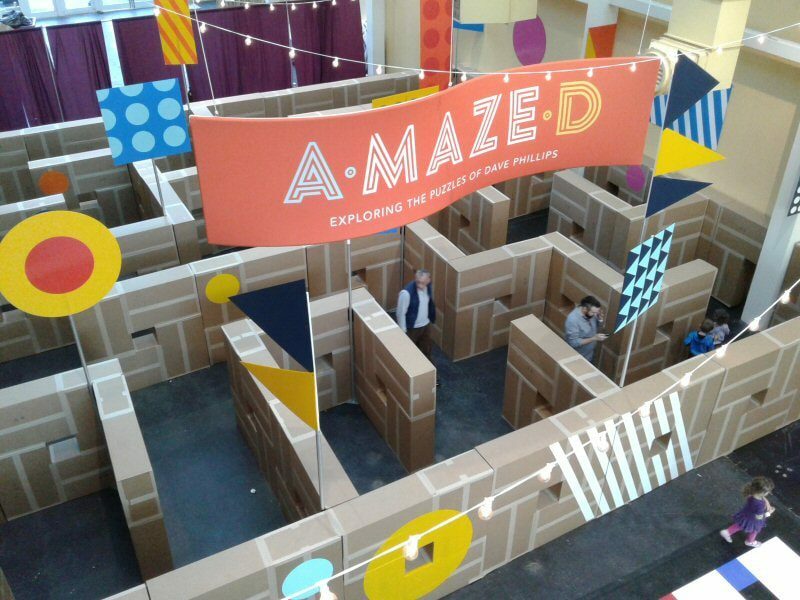 Explore giant indoor mazes that challenge you to use logic, math and problem-solving skills at the Museum’s temporary exhibit A·MAZE·D: The Puzzling World of Dave Phillips. 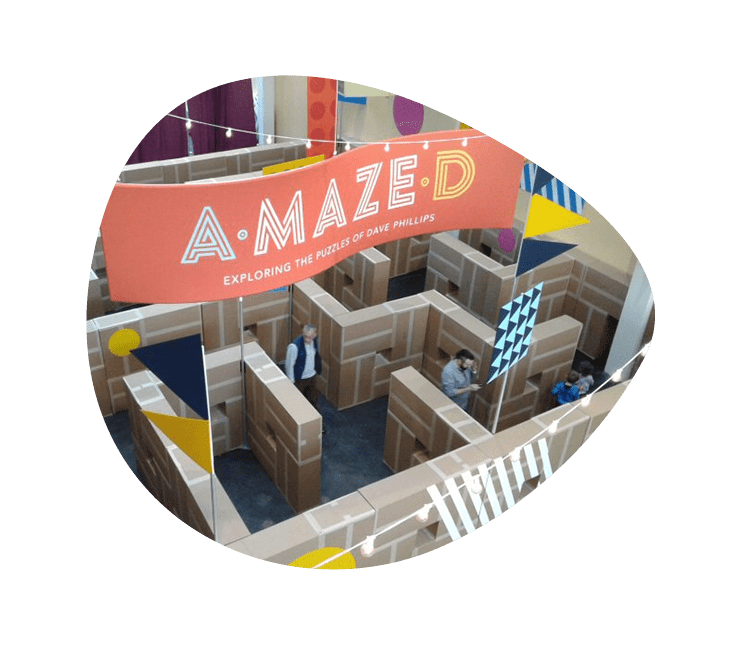 In A·MAZE·D, children and adults will explore a giant, life-sized cardboard box maze, jump from dot-to-dot in Hop Dots, and weave their way through a floor maze that requires more problem-solving skills than may meet the eye. The whole family can enjoy the challenges and puzzles of this exhibit together! 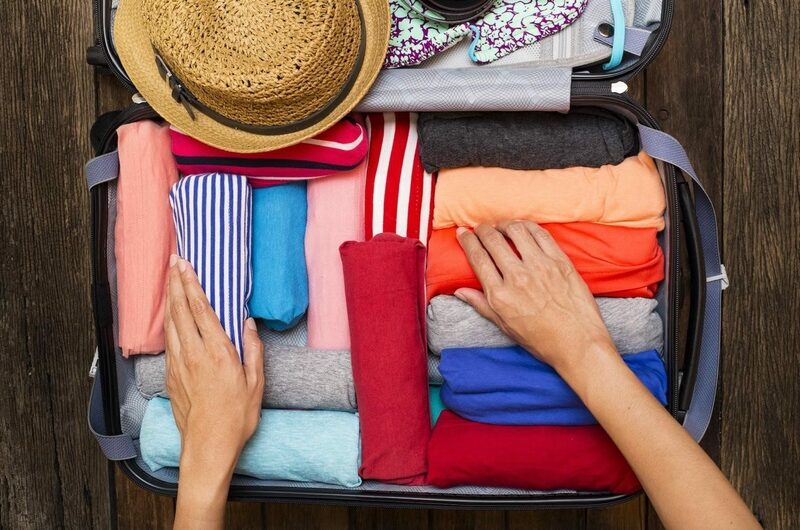 Picture this: you’re going on a unique trip. What supplies do you need for your endeavor and how will you make them fit into your vessel? Where will you put your food in your space capsule? How will you bring all your gear on your bike for a week-long bike-packing trip? The joy of Tetris comes to life in this exhibit that asks you to touch everything. The American Bison is a unique native species that has played a critical role in the natural history of North America. Millions of bison once roamed from Appalachia to Alaska, Florida to Canada, and of course, Colorado. Sadly, today they are only found in small herds that are highly managed. 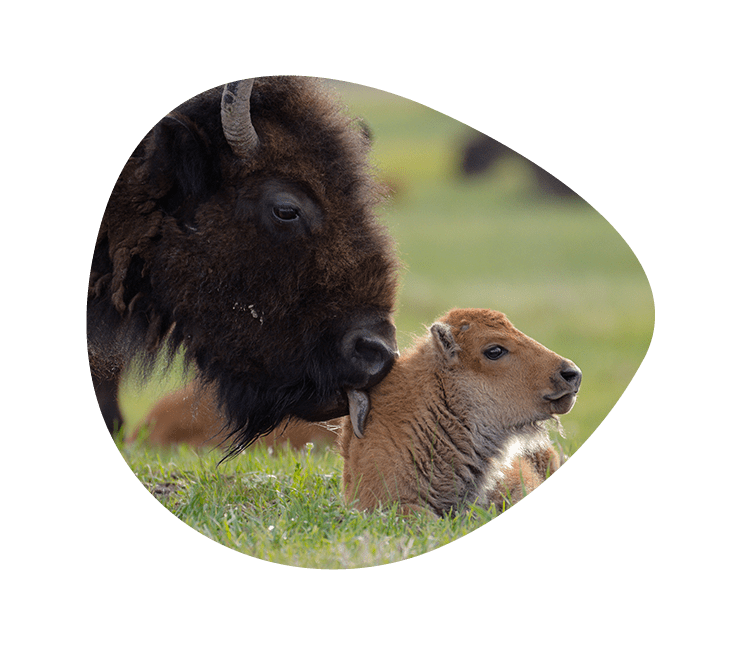 The Museum of Boulder, Buffalo Field Campaign and Red Shoes Studio are pleased to present the exhibit Wild Bison, which combines superb photographs, artwork, facts, poems, and writings about this magnificent species. 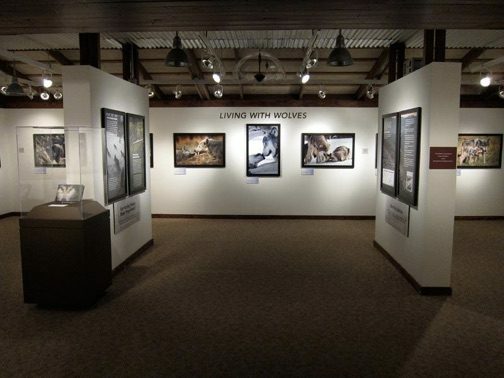 This exhibit also features the film, “Our National Mammal” (Mountainfilm 2018), directed by local artist Thia Martin. For over 150 years, Boulder has undergone an astounding evolution – from pioneer mining town to quiet college town to bastion of liberal social causes and global center for science, technology, and outdoor recreation. Throughout, Boulder has seen conflicts from within and challenges from outside the community. But this small, resilient city continues to evolve through them all – bolstered by a respect for diversity, a love of the land, an appreciation for education, and a desire to grow and take risks as a community. The Museum of Boulder’s Archive 75 exhibition will feature 75 artifacts and documents evoking the depth and breadth of the Museum of Boulder’s holdings. They will tell 75 stories—harrowing, heartbreaking, pathbreaking, brave—about Boulder’s rich and complicated history. 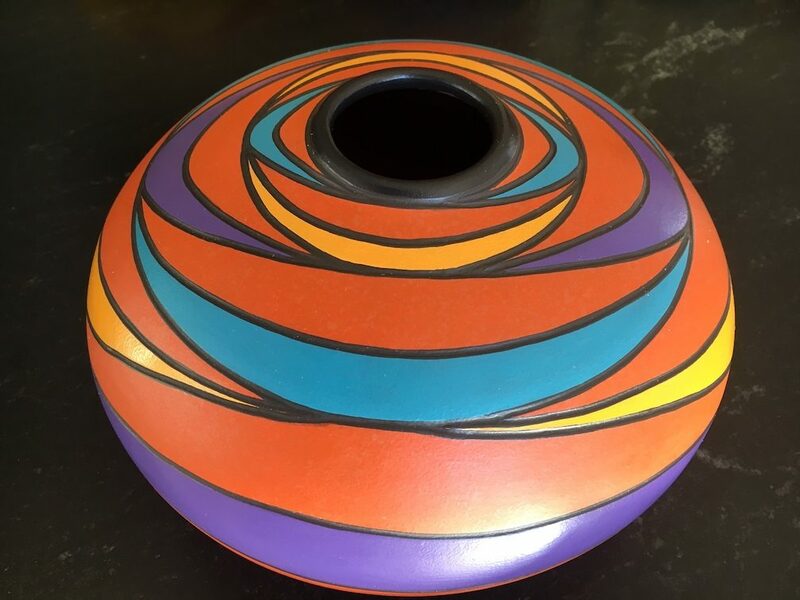 This installation will be featured in the 2,600 square-foot main exhibit gallery on the first floor of the Museum of Boulder from mid October 2019 – March 2020 in celebration of the Museum’s 75th Anniversary. Where will the Museum pull these artifacts and documents from? The Museum’s Collections Facility in north Boulder houses historic artifacts and archives, which continue to be important resources for research, education and community engagement. Our 7,000 square-foot facility houses more than 45,000 historic artifacts. The Museum’s Archive Collection, housed at Carnegie Branch Library adjacent to the Museum of Boulder, contains over 900,000 historic documents and photographs. 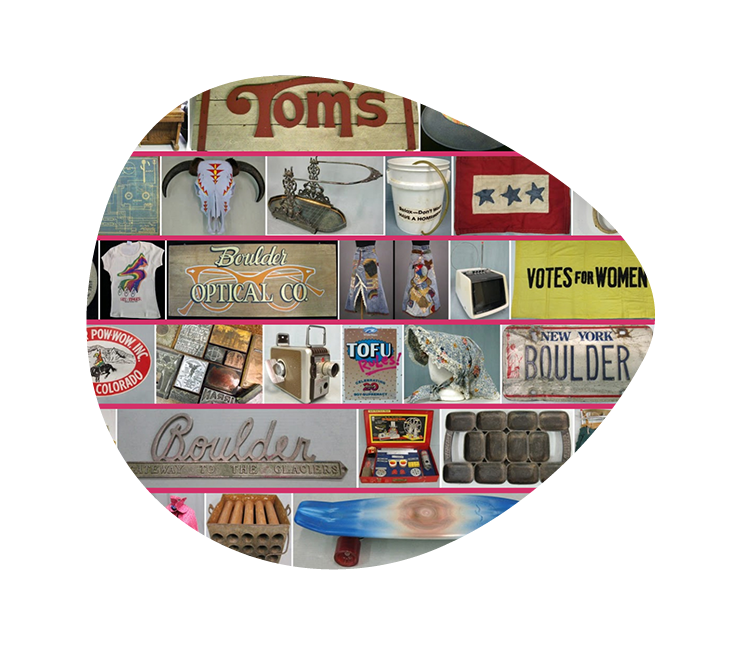 The Museum collects items that represent the people, businesses and events that have lived in, or taken place in, the Boulder region. 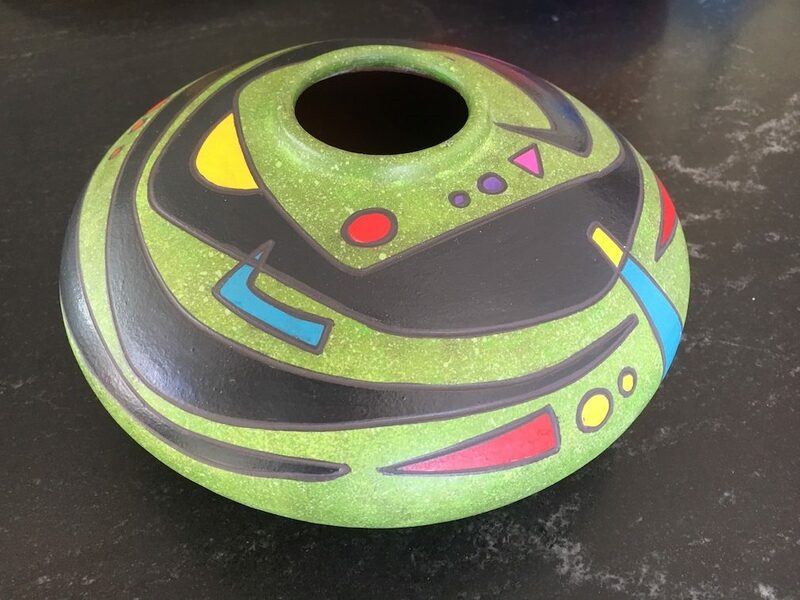 We have items dating back to the first settlers in Boulder and others that represent more contemporary people and events in our community, like the Bolder Boulder Road Race, Ball Aerospace, and Celestial Seasonings. In 2017, we added 1,073 new objects to our historic collection. Objects in the Museum’s collection are used for research, exhibitions, publications, and for loan to other museums and other venues for exhibitions. Some of our objects are on display in The Boulder Experience gallery on the second floor of the Museum. 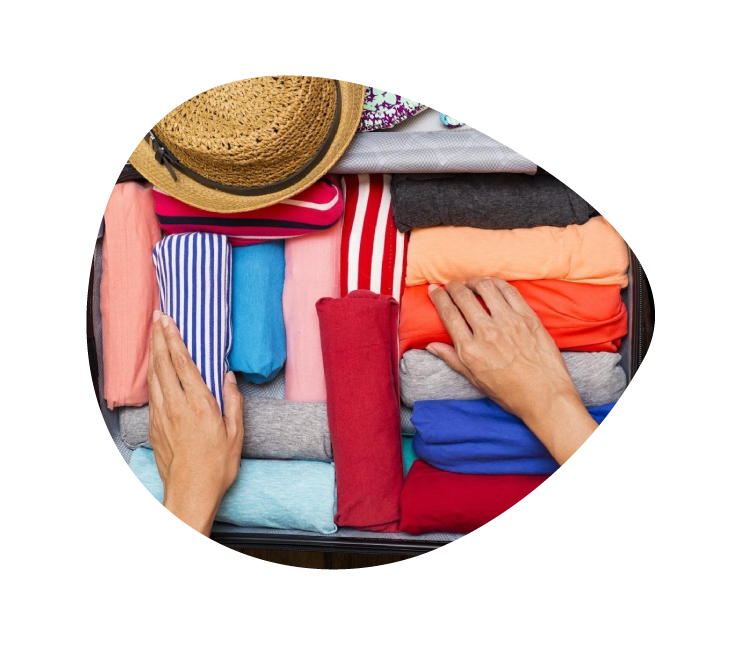 However, due to the large number and fragile nature of many of the items, the majority have never been seen by our community.